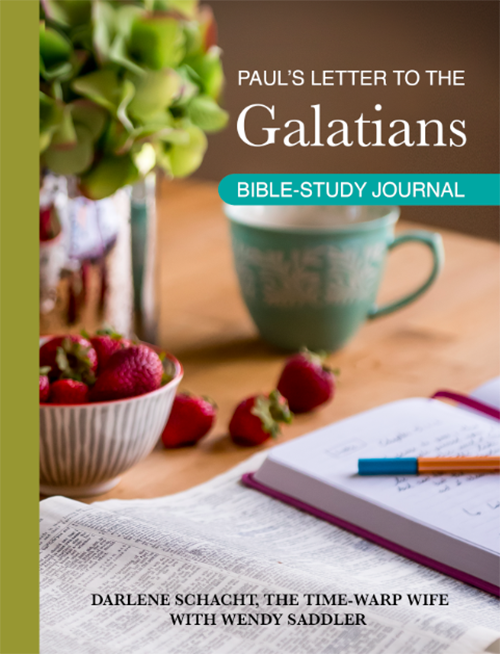 Before I introduce our next study, I want to quickly thank Wendy Saddler for helping me to compile the questions for the book of Galatians. Her help on this project has been an incredible blessing to me. Thank you, Wendy! Also thank you to my daughter Madison Turner for creating the beautiful companion journal (affil link) for the book of Galatians. I absolutely love the creative way she makes my work pretty! Galatians isn’t a long book, in fact it’s only six chapters, but it’s a powerful one, as we’re reminded that our righteousness comes through Jesus Christ. 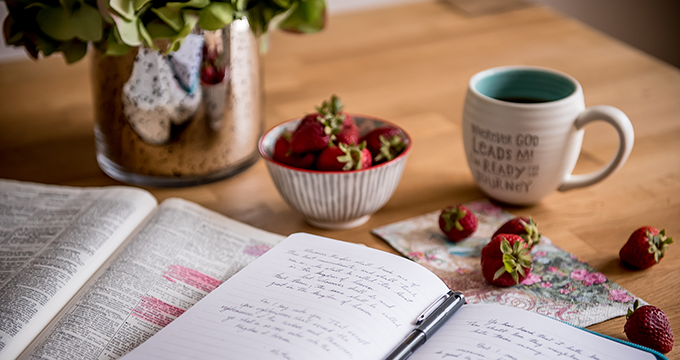 Astonished that they have turned their heads from the truth of the gospel, Paul writes a letter to the church in Galatia both to correct them, and to strengthen them in their faith. These “foolish Galatians” as Paul calls them, were drawn away by Jewish teachers who would have them believe that Jewish laws, such as circumcision, were necessary in order to obtain salvation, and that righteousness was not merely by faith but also by works. Paul sets the record straight by sharing the fundamental elements of the Christian faith. Drawing a line between the works of the law and the law of faith, he points them to the only One by whom we are justified. Comparing Sarah to Hagar, he helps them to understand the difference between those who are slaves to the law and those who have freedom in Christ. Paul shares his testimony, giving us a glimpse into his life before his conversion, at which time he persecuted the church and tried to destroy it. He talks about his conversion, his early days in the church, and his relationship with Peter and the other apostles. Encouraging the church to live well, Paul urges them to carry each others burdens and to do good one to another. The study is three weeks long. I’ll have a FREE study guide that you can download, as well as printable resources each week throughout the study to encourage you along. The study guide will be right here on August 4th along with a more detailed explanation of the study. The study will run for three consecutive weeks, August 8th to the 25th . But First: Come back here on August 4th for the free study guide. See you then! You are such a blessing. Thank you for offering such a well thought out look into God’s word. I am looking forward to the next study. If we signed up for Romans do we resubscribe? I enjoyed Romans very much…great questions requiring me to look and think about what I was reading. Thank you! Thanking you in advance for the study in Galatians. I am sure I speak for many when saying I appreciate your time and the sharing of your findings. Thank you for sharing your blessings! I am really excited and waiting for this study. I’m finishing up Romans now so I can make way for Galatians. You are an asset and a blessing to the body of Christ. Due to the loss of my husband, I have not done a study with you in about 6 months. 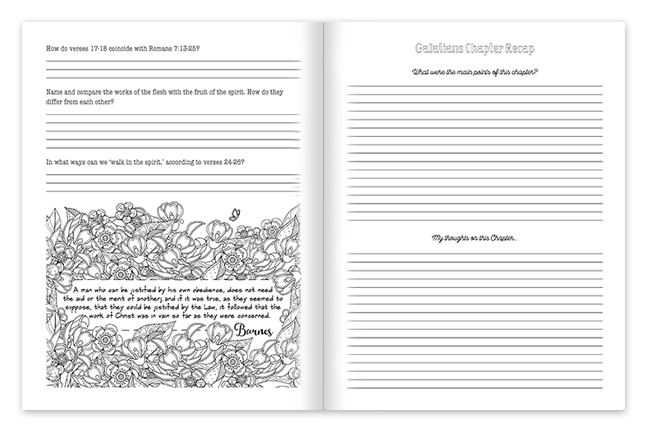 I am excited to jump back in and get back to Bible journaling! I have always enjoyed your studies and the beautiful pictures to color. God bless! I just got my book in the mail yesterday! 🙂 Can’t wait!!! Thank you so much for your devotion to God. I appreciate you taking the time to give a big glimpse into God’s word all over the world. Hi I’m new and excited to join the Galatians bible study. When you say it will last 3 weeks are you having the study once a week, or daily? I just finished reading Messy Beautiful Love. THANK YOU !! This is just the book I needed at this point and time in my life!! I usually only get books from the library (which is what I did with your book), but I will be purchasing this book so I can reference it and re-read it, as well as pass it on to my family members to read!! I received my book for Galatians and I am very excited about this study. One more thing — Do I need to purchase the book too??? Or, can I just use the Galatians bible-study guide I printed out? Can I ask what the next study is?? ?